Was School Counselor Deliberately Indifferent? After weeks of receiving mean and threatening Snapchat messages from fellow students, a seventh-grader (we’ll call her Maggie) finally went to her school counselor for help. Maggie showed her counselor some of the messages on her iPhone and the counselor agreed to “look into it”. In addition, the counselor took photos of several of the bullying text messages from Maggie’s phone with her own mobile phone. School officials disciplined two of the girls accused of harassing Maggie. Thinking the matter was closed, the counselor deleted the photos of the threatening text messages from her phone. Unfortunately, the cyberbullying continued until Maggie was discovered unconscious in a school bathroom, having overdosed on prescription pain medicine. An attempted suicide. Thankfully, Maggie recovered. Maggie’s parent’s lawyers and school district officials were alarmed at the lack of documentation related to the cyberbullying accusations. The school’s records were poorly maintained, calling into question the quality of the school’s initial investigation into Maggie’s cyberbullying claims. The school counselor’s account that she had deleted the photos she had taken of some of the Snapchat messages from Maggie’s phone now seemed suspicious, or at the very least, careless. The school counselor’s account that she had deleted the photos she’d taken of Maggie’s phone now seemed suspicious, or at the very least careless. This case raises a wide array of legal questions related to a school district’s responsibilities as they relate to investigating alleged harassment in our digital age. 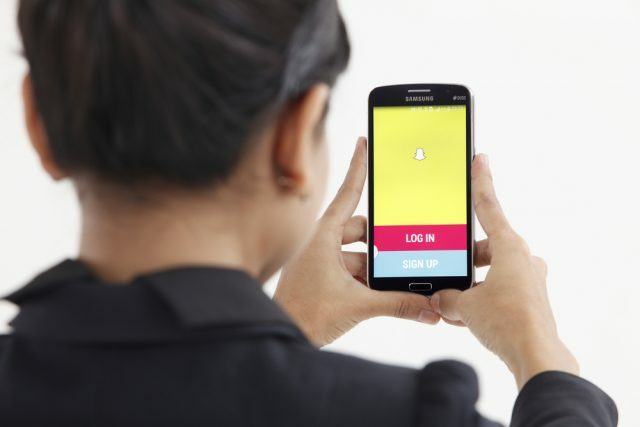 Once an investigation is launched, can a screenshot taken of a Snapchat message constitute a student record under the Illinois School Student Records Act? What is a district’s responsibility to collect and preserve digital records that are contained on devices? Can a spoliation claim be successfully argued when a school employee deletes relevant digital evidence from a personal phone? Unfortunately, situations like these are playing out in a number of school district litigation matters across the United States. Stay tuned. 1.) When in doubt, preserve. Collect and preserve potential digital evidence when you become aware of an incident. This can include social media content, text messages, and internal school emails. Be mindful that certain electronically stored information can become lost over time, so act quickly. 2.) Is that a school record? Remember that the definition of a “Student Record” is going to be subject to ongoing legal debate in our digital world. A screenshot of a threatening text message, when it becomes a part of an investigative file related to a student, for example, can challenge conventional ideas of what constitutes a regulated record. 3.) Have a plan. Make sure you have an incident response plan and that you document the various steps taken when responding to an incident. Maintain good investigative records. 4.) Training. School districts should have policies and training in place related to cyberbullying, sexting, and harassment. Conduct this training regularly and document it. Your training program should include an employee’s responsibilities for preserving digital records when an incident is discovered. 5.) Get advice. Don’t go it alone. Bring your lawyers and IT consultants in when these issues come to light. Outside professionals can bring a helpful perspective and valuable advice.